Sweat isn’t just water; it’s made up of electrolytes, especially sodium, which makes up about 90% of the electrolytes you lose in sweat. Of the electrolytes you lose in sweat, sodium plays the most important role in helping your body perform. What happens when you’re thirsty? As you sweat and lose more water than sodium, the sodium concentration in your blood increases and you begin to feel thirsty. You stop feeling thirsty when you consume enough water to bring the sodium concentration in your blood back down. Sometimes that means increasing the amount of sodium you consume and not relying on water alone. What is sweat made of (and how do I know how much sodium is in my sweat)? Most people lose about a liter-sized Nalgene amount of sweat in 1-2 hours of endurance exercise. On average, people lose 1/2 – 1 teaspoon of sodium per liter (or Nalgene bottle) of sweat. One way to guesstimate your sodium is to weigh yourself before and after exercise. If you lost 3% of your body weight during exercise, you likely need more sodium. Keep in mind this calculation includes consuming your normal amount of fluids during exercise. If you’re just drinking water, you’re not replacing components your body needs to perform. It’s important to replace both the fluid and electrolytes, specifically the sodium lost in sweat, otherwise you’re going to risk feeling like crap (and no one wants that. Especially in the middle of workout). If you continue to drink water even after you satiate your thirst, you run the risk of diluting your blood’s sodium concentration resulting in a situation called hyponatremia, where the body holds onto too much water and dilutes the amount of sodium in the blood. Symptoms include nausea, headache, confusion, and fatigue. Translation: you’ll feel like complete crap. Drink something that has a similar concentration of sodium as your actual sweat. Our Sport Hydration Drink Mix was created to replace exactly what you lose, without anything extra. Made with less sugar, more sodium, and only real fruit for flavor, it absorbs faster than water alone and won’t offend your palate or your gut. 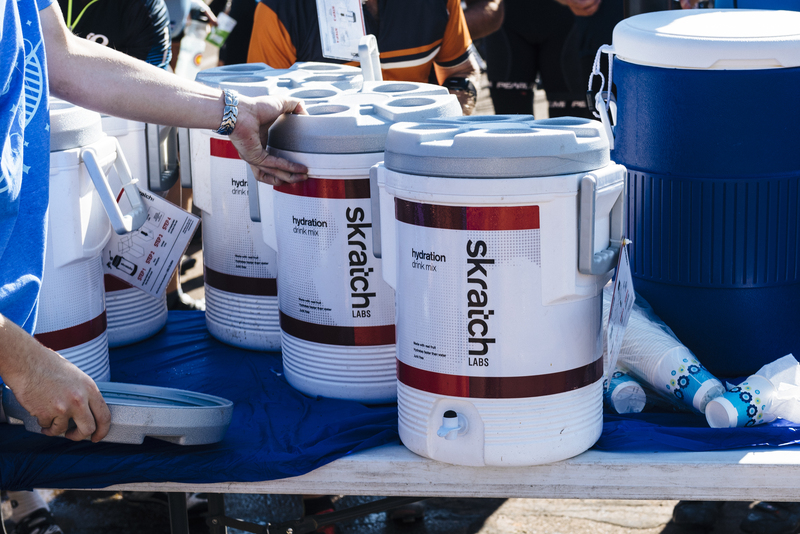 When it comes to getting your hydration right, this is as simple as it gets. And as usual, simple is good.